This is the state of pollution in Ganga. 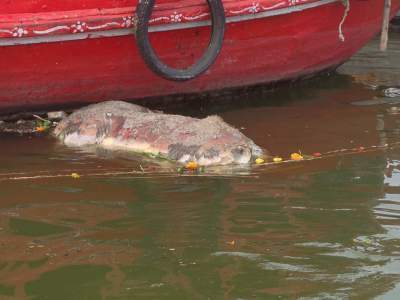 Animal carcass in the river right new the Ghat. Very bad situation. Where is Ganga cleaning happening.